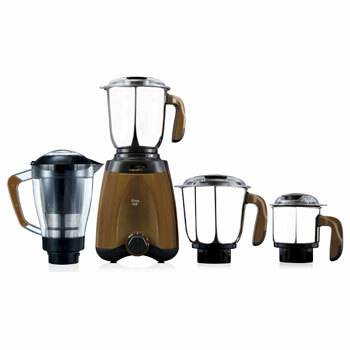 Juicer jar with online feeding: Gorge on your favourite juices with this amazing product that comes to you with the advantage of online feeding as well. Jars with unbreakable polycarbonate lids with quick access: The unbreakable polycarbonate lids assure great strength, with the advantage of being able to carry out the tasks in good order. Chutney jar with easy lid lock: Now enjoy your favourite chutneys with the special grinding prowess of this super model that comes to you with the plus of having an easy lid lock.